Head lice removal is a problem that requires a professional solution. At Lice Lifters of Palm Beach Gardens, we have the products, experience and treatment process that handles this problem for families just like yours in the Westgate area. 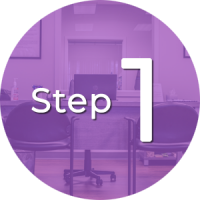 We’d like to tell you how our lice clinic can make this nuisance a thing of the past for you and any loved ones afflicted with this problem, so please fill out the contact form on this page. At Lice Lifters of Palm Beach Gardens, we do what’s necessary to kill lice and their eggs, or nits, so your family can get back to their life with a smile on their face instead of an itchy infestation on their head. 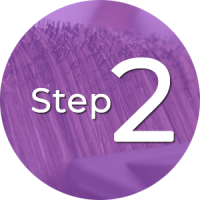 Our process starts with a head check to verify that you have lice, and then our certified technicians use a special comb to remove as many of these lice and nits as they can see. As insurance against an infestation recurring because of any missed lice or nits, we’ll finish with a liquid killing agent applied to your hair and scalp that’s 99.9 percent effective against lice and their nits. Please bring anyone in your family who may have head lice to our lice removal salon, so we can rid your loved ones of this problem. After completing the head check to determine the presence of lice, our trained and certified lice technicians remove them with a comb that’s designed for this task. Our unique and all-natural killing agent is what sets us apart from other lice remedies, and it’s 99.9 percent effective at killing lice and their nits. We make the process of head lice removal as enjoyable as possible for your entire family. The moment you arrive at our kid-friendly salon, you’ll be impressed with how our friendly lice removal technicians go about removing this problem from your loved ones. You won’t find a better lice removal process than that available to you at Lice Lifters of Lancaster. 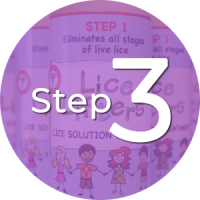 Our products and techniques are so safe and effective that many school nurses and pediatricians recommend our lice treatment. Our treatment process is safe, effective and guaranteed. Our certified technicians give you peace of mind. Unlike a mobile service, we use a killing agent that ensures the death of live lice activity. Our all-natural killing agent is non-toxic and 99.9 percent effective. Having you finished in one treatment means we save you time! Certified lice technicians who are compassionate and capable. A thorough head check to verify head lice is your problem. A meticulous comb-out followed by our use of all-natural products. Help in preventing this problem in the future with basic instructions and education. Cable TV, snacks, movies and a play area to keep your family entertained while waiting.